Tyler Droll, left, and Brooks Buffington talk about their social media app, Yik Yak. The most popular post of all time on Yik Yak is a dirty joke. Less than two years old, the Buckhead-based social network is geared mostly toward college students who access and post unsigned announcements through an app on their smartphones. At best it’s a local forum for public conversations that might otherwise only occur in private. At worst it’s a platform for immaturity, racism and cyber-bullying. During the recent TechCrunch Disrupt NY conference, some of that tension theatrically played out during a roughly 20-minute Silicon Valley-esque conversation. The business, reportedly valued around an astounding $400 million, is growing. Anonymous social networks are good. Et cetera. She was referring to litigation contesting ownership of the app. Another former frat bro, Dougie Warstler, who apparently is still Facebook friends with both Buffington and Droll, claims he’s in fact the third co-founder. Yik Yak declined the Atlanta Journal-Constitution request for a conversation, despite granting them with other local and national publications. Meanwhile, the social network has prospered on equal parts brilliance of concept and family connections that inevitably led to investments, according to an expansive Business Insider profile. Inspired by 1950s hit song “Yakety Yak,” Droll’s parents came up with the app’s name. It’s supposed to be synonymous with ‘chit chat,’ reminiscent of the buzz you might hear in an audience before a movie starts. As innocent as the concept might sound, there have been some headline-grabbing growing pains, including: the recent arrest of a Virginia Tech student who is accused of making threats over the social network; a Fulton County middle school principal who issued a letter warning parents about the app; and an uproar at the University of Mary Washington where feminist group members say they were harrassed on Yik Yak. The company has made adjustments — for instance hiring a person whose job is to classify Yaks and root out questionable content. The startup has also blocked users from accessing the app on high school campuses. There are other filters, as well. While the app has generated worries in some places, they cite other examples of instances when it was used to more beneficial effect. At Franklin & Marshall, Buffington said, Yik Yak posts helped people organize and change college policies. At the University of Michigan, students banded together on Yik Yak after someone posted about a planned suicide. At Liberty University, the app’s anonymity revealed the political attitudes of students who were forced to attend Ted Cruz’s presidential nomination speech. Yik Yak is now on nearly every campus in the U.S. and moving on to those in the U.K., Canada and Australia. Droll and Buffington, however, refused to give the number of active users. 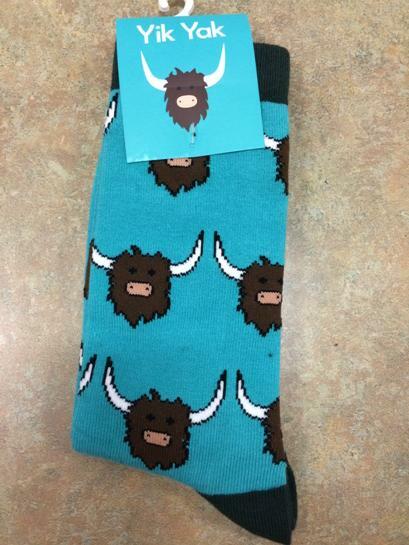 Despite roughly $73.5 million in venture capital funding, Yik Yak doesn’t make money yet. Eyeballs are more important than profit for emerging social networks. The former can lead to the latter, either through acquistion or yet-to-be discovered business models. Buffington answered that it could potentially be ads.